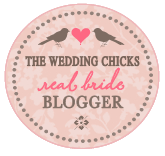 Did you know I also have a wedding blog? Well this is the perfect time to go visit because I am running a promo and giveaway! Sweater news: Flashdance is going great. So great that I knit 2 inches beyond the shoulder seam. The great thing about stockinette stitch is that it's so mindless. The bad thing about stockinette stitch is that it's so mindless.